Removal of the baseball pitcher's mound. 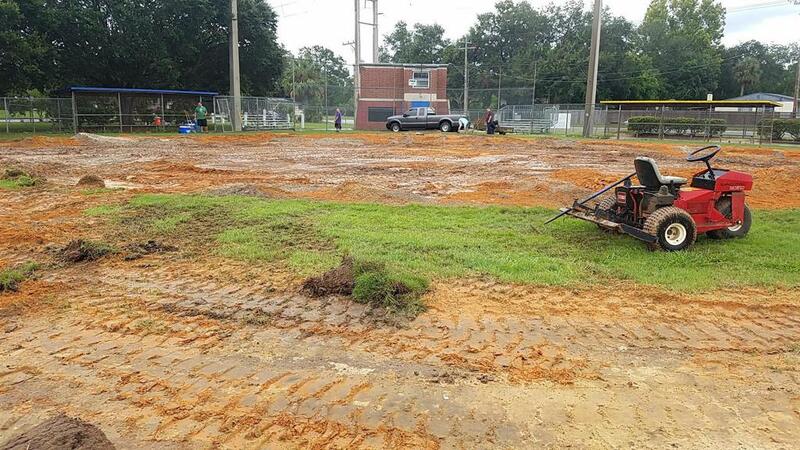 We are officially converting it into our 12u and 16u feature field. 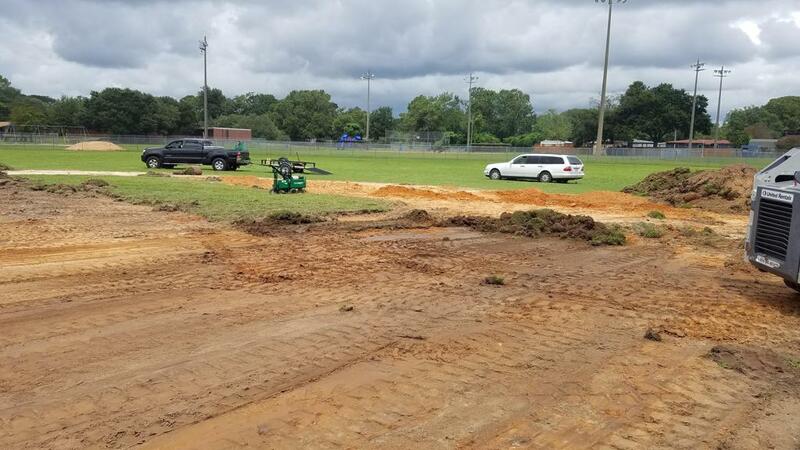 On August 26, 2017 we broke ground on the reconstruction of Field 1 at FCAA West. We were able to complete a great deal of work over the first 2 days. We expect to open the field to games in Spring 2018. We could possibly have the field ready for practices this fall. Softball Dads hard at work. 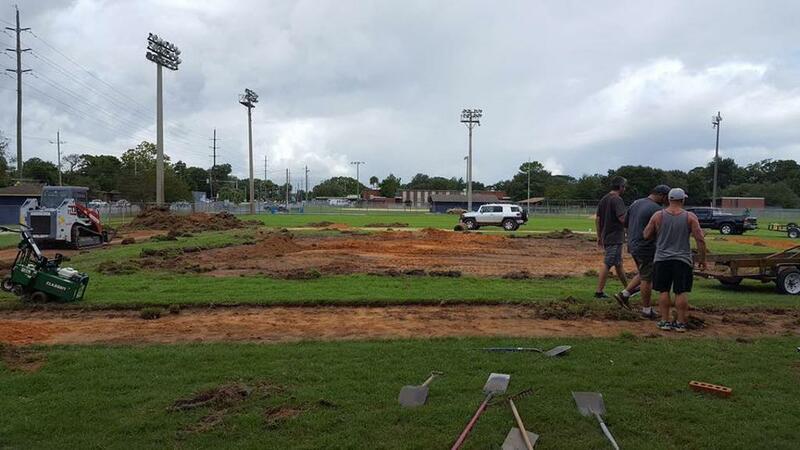 Sod removal from the baseball infield. 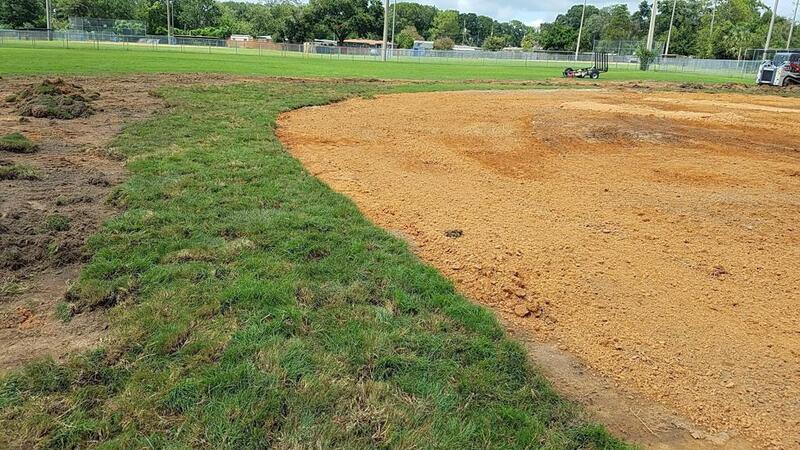 Smoothing the softball infield base level for a level playing surface.